Michael felt like his life ended the day his family left. In a way, it did. While he struggled to remain composed when he was in the company of others, he allowed his thoughts and anxieties to consume him when he was alone. Though the life that he had always known had ended, a new one quickly emerged, one that had been suppressed by the Elders for far too long. While Michael struggled to wrap his brain around the information he was learning about his true identity and the community he had grown up in, his heart continuously pulled him toward a young girl and his new found romance, while it simultaneously ached for the family he lost. Heir of Zion is the second book in the series, and, although it could be read as a standalone, it is much better as part of the series. In book one, Katie, her twin brother, Michael, and their parents are part of a cult-like religious group until Katie and her parents decide to leave the cult. During that entire book, I kept wondering what happened to Michael and how he was coping with being left behind, even if he made the decision to stay. Heir of Zion answered all of those questions, completely shocked me with it's surprise revelations and left much open to be resolved in the final book of the series. I can't get more specific without spoiling the story, but it is absolutely fascinating to watch Michael learn more about his heritage and the inner workings of the church elders while learning to live without his family and falling in love with his future bride. Rick Barr's narration was as impressive as always. His voice is deep and moving, and he puts the perfect inflection on every mood and scene in the story. Barr narrates all three books in this series, so the continuity is pleasing. He makes an already intriguing story even more enjoyable as an audiobook. I enjoyed listening to another installment in the Zion series. I liked that this one focused on Michael and his feelings. I liked that he wasn't a total "sheep" and he had ideas of how things should be. I liked that he stood up for what he believed with his father and wanted to make changes in his community. I can't wait to find out how everything will turn out. I would recommend Heir of Zion to others who enjoy books like this. I am becoming addict to this series. I love the characters, the compassion, and the authors ability to talk about God without all the “preaching.” This is the second book in the series; Michael shares the story from his point of view with a lot of unexpected truths. There will be an instant need to continue with this series; I definitely plan on listening to more! Heir of Zion is quite easily a 4 star book! 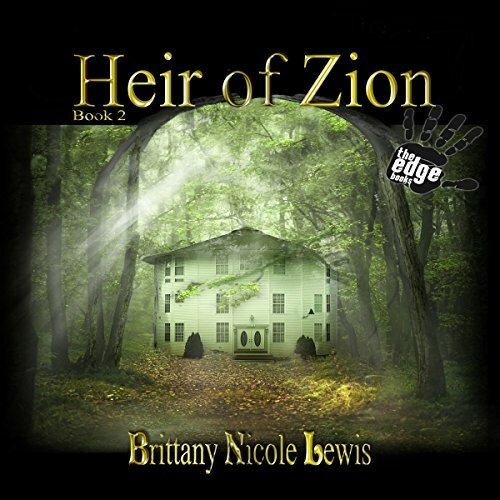 Heir of Zion is a story that explores some themes that will be familiar to most readers (listeners? ): a young boy who is destined to be the leader of his people, conflicts between traditional beliefs/customs and more progressive ways, the burden of balancing duty and love, etc. Each of these themes, along with modest bits of mystery and foreshadowing, contributes to a narrative that pulls the reader along to the end. That said, there are some issues that keep the story from making the leap from ok to really good. For example, one issue that holds the story back is the lack of external conflict. All of the tension the main character experiences takes place internally. There's no struggle between him and the elders who would uphold traditional ways or between him and those who woud pull him in a different direction--except in his own mind. The protagonist eventually gains the power to dictate his personal desires to the community, so there's very little to hold him back besides a sensitivity to align the communtiy with his desires slowly. Also, there is very little world-building. That might seem like a strange observation about a story that could be set in the present reality, but listeners who do not have a background similar to the community of the book will probably have a hard time feeling invested in the lives of the characters without more descriptive details. Of course, both of these complaints might be the unfortunate consequence of not having read the first or third books in the series. The community might be more well-developed in the first novel, and the author does leave room for greater conflict and resolution in the third. So though I wouldn't rank this as a must-read on its own merits, there is potential for the series as a whole and I would recommend starting at the beginning. Besides the story itself, the performance of the reading is adequate and I found it to be a fine pastime for the morning commute. yes because I would not have none if I liked the book or not if I hadn't listened to it. Would you recommend Heir of Zion to your friends? Why or why not? Have you listened to any of Rick Barr’s other performances before? How does this one compare? Was Heir of Zion worth the listening time? I really enjoyed the first book in this series but this one just wasn't for me. I felt like I was reading more about a cult than I particularly wanted to. Great story. Eagerly looking forward to next installment. Narration voice smooth, , crisp, a pleasure to listen to. Sometimes the second book in a series is a bit of a let down, fortunately this book is anything but a let down. I loved book one, but this book was even better. Michael's experience after his family leave is heartbreaking. It was really interesting to see the same time period from his perspective, especially since revelations turn his life on it's head. Michael's struggles with trying to understand why things are done certain ways in Zion and what changes could/would improve things make for interesting listening. I thought that his emotional response to everything that happened was the best part of the book, it was impossible to listen and remain emotionally disengaged. The narration is excellent, with lovely clear character voices and a smooth natural delivery. second book kept story flowing from 1st. I think it ended to short and should have completed the 2nd part of the story but didn't. now what book 3. I'll have to look and see if its even up yet.